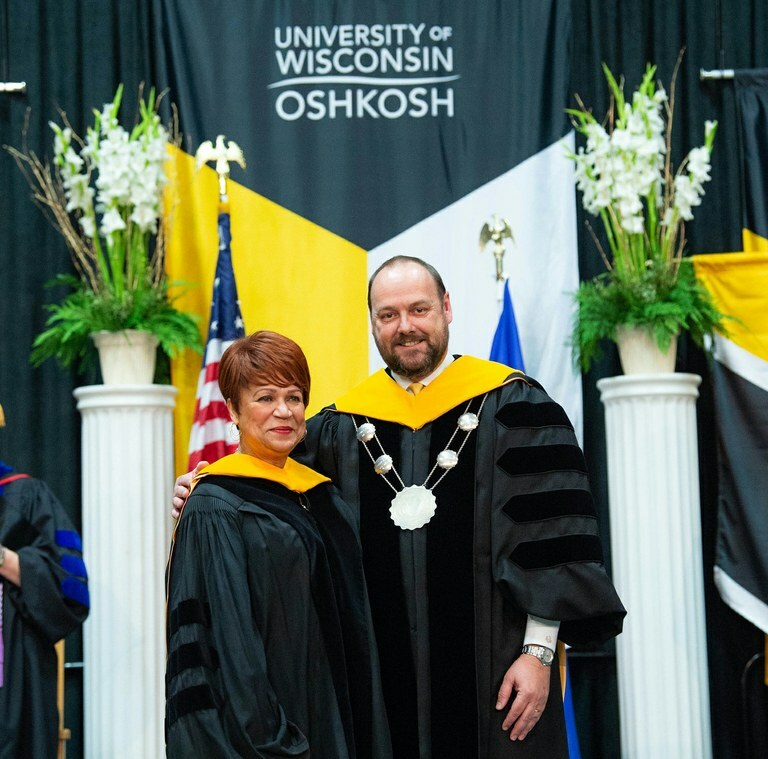 Faculty, staff, students and private citizens are welcome to nominate candidates for a University of Wisconsin Oshkosh Honorary Doctorate Degree. Honorary Doctorate Degrees are given to individuals of exceptional accomplishment and distinction who have made significant contributions to the university, region, state or nation. The UW Oshkosh Honorary Doctorate Degree Committee recommends candidates to the Chancellor who, with the University of Wisconsin System President, recommends nominees to the Board of Regents. Strong consideration is given to those who: (a) have a current or past connection to the University, region (Oshkosh and Greater Fox Valley) or state of Wisconsin; (b) are distinguished alumni or (c) display excellence in reflecting the University of Wisconsin Oshkosh’s vision of engaging people and ideas for common good. With family and friends looking on, Sheila Knox was recognized with an honorary doctorate degree. She is a member of the Oshkosh 94, the group of former Wisconsin State University-Oshkosh students who, on Thursday, Nov. 21, 1968—Black Thursday—expressed their commitment to inclusive ideals and goals for the institution with a demonstration in the office of administration. 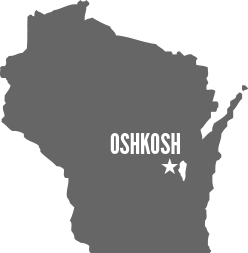 The Oshkosh 94 demanded improved experiences for students of color, were arrested and expelled from the University and the then-Wisconsin State University System. Robert Keller, ’69, chair of the Board of J. J. Keller & Associates Inc.
David C. Leach, former president of Leach Co.
Howard Curler, retired chairman of the Bemis Co.
Allen Guentzel, retired director of Employee Relations/Corporate Staff, Kimberly-Clark, Corp.
Ted Leyhe, longtime president of Miles Kimball Co.